Modern Energy - What is Modern Energy? about Modern Energists, and modern energy work. Energy is a dimension of existence where things are a lot less hard, and a whole lot more connected. 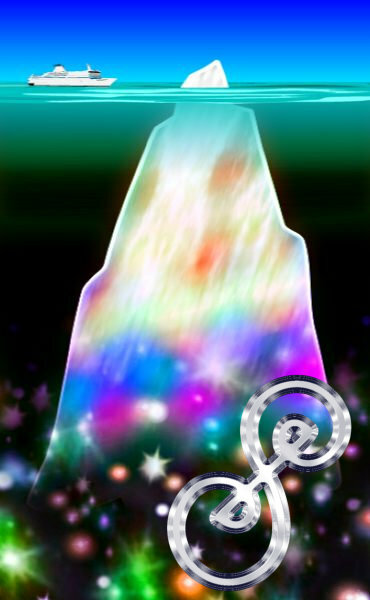 The energy dimensions are quite real, no matter what the energy disabled might like to believe. A tree does not cease to exist because a blind man cannot see it; and the energy dimensions do not cease to exist because scientists at present cannot measure them (yet). People who know this *for a fact* are into Modern Energy, and they call themselves modern Modern Energists. Why is Modern Energy important? All people have an energy body, and this has been seriously mistreated, misunderstood and neglected across the board and not just in modern Western societies. Real, active human intelligence relies on a well functioning energy body - the more stressed the energy body gets, the more stupid and limited the ability to think becomes. In every person, that would be. This is systemic. Moreover, people do not act because of what they think, but what they feel. EMOTIONS are the drivers for human endeavour and that's just the same for any scientist as it is for any housewife, angry terrorist or soldier who came home with PTSD. Modern Energy gives a clear and simple definition of emotions (which neither psychology nor physiology can provide): Emotions are the feedback to let us know how our energy bodies are functioning. Emotions are not in the head, but they are felt through the body. Those sensations that have no physical origin are the 6th sense, which is what connects human consciousness with the ongoings on the energy levels, of which their own energy bodies are of course, a part. So to answer the question "Why is Modern Energy important?" in short, it would be, without Modern Energy, humans will continue to behave in a crazy, over-emotional and illogical way as they have done since the dawn of time and if we want a saner world, it is of the essence to adopt Modern Energy as soon as possible. What is a Modern Energist? An Modern Energist is a person who knows for a fact that energy is absolutely real, because they can feel energy (emotion) in their own body and have had their own personal experiences to validate this simple fact. It is therefore not a matter of "believing in energy" but actually, knowing energy is real. That's a big difference. Is Modern Energy a religion like scientology? No. It's simply a fact. Modern Energy is independent of any religion. Followers of religious practices find that their religious practices work much better when the additional information that Modern Energy provides about the world around us is added. Many very pious people from all manner of different religions are Modern Energists, and just as many Modern Energists follow no religion at all and prefer to have their own personal experiences with the universe instead and make up their own minds. Trying out things for yourself and making up your own mind is probably the most important core of being a modern Modern Energist. Do you have to be a therapist to be an Modern Energist? Absolutely not. There is not a single thing that people do which doesn't benefit from working with all six senses and a clear, logical mind instead of just five and riddled/blindsided by uncontrollable emotions. Modern Energists are systems designers, artists, musicians, florists, architects, computer programmers, mothers, fathers - as we have noted, there isn't a single aspect of human life or endeavour that does not benefit from additional information, clearer thinking, and more organic logic and being able to access the bigger picture. Having said that, with energy bodies the world over in terrible conditions and deep disarray, we need many more therapists and healers, and we need them now. Are all Modern Energists healers? Theoretically yes, as all human beings could train to be a nurse or a doctor if they chose to do so. Practically, some Modern Energists are drawn to healing the energy body and others do other things. Is Modern Energy the same as the ancient traditions of India, China, or traditional Shamanism? Not at all. Modern Energy is modern in origin and instead of "the Chinese whispers of the ages" relies on the direct, actual experience of modern living people in the real world to formulate its techniques, methods, theories and approaches. The fact is that the ancient systems all came from male dominated, ancestor worshipping backgrounds and were tainted by societal control components. For example, trying to shape all energy bodies to be exactly the same by making everyone do the same movements, sing the same songs, breathe at the same time and do the exact same exercises from cradle to the grave. Modern Modern Energy recognises that first of all, to define human experience you need to take the experience of men AND WOMEN into consideration to create a Venn diagram where both are the same; and secondly, that it is in our infinite divergence and uniqueness where each person's gift to society actually lies. Modern Modern Energy is not based on the maps of old - it is a paradigm shift and therefore, useful and user friendly to modern, intelligent people. Does Modern Energy replace going to the psychologist, or the doctor? No. Modern Energy concerns itself with the ENERGY BODY. We have all heard of "mind, body and spirit" - spirit is the word for the energy system, the actual human energy body. There has been an awful lot of confusion around the treatment of the energy body, and what this can and cannot achieve. Modern Modern Energy is THE THIRD FIELD and stands shoulder to shoulder with the other two as an integral and important field in its own right. If Modern Energy is so great, why haven't I heard about it? Why isn't it taught in schools and universities? Why isn't it available in hospitals? There are many vested interests in keeping people away from modern Modern Energy. There are those who fear it would empty their churches and coffers if people knew they could make a personal relationship with the all-there-is, or their chosen prophet, without having to go through a priest first. There are those who have made their name with complicated procedures, pills and potions that would become irrelevant and out of date if Modern Energy was adopted more widely. There are of course those who simply can't be bothered to re-write all their text books and training manuals in light of the new discoveries, and cling on to the status quo. However, YOU are right here and reading this, right now. Modern Modern Energy is a huge evolution on the old blind faith systems designed to keep people in their place. It is a revolution in every sense of the word, and unlike the textbooks of old, relies on the personal experience of one person at a time. You can read a thousand books, and even write a thousand learned books, and still it means nothing to a single moment when it clicks together, and the world has changed in a heartbeat. Only personal experience can provide us with this. I am very interested in modern Modern Energy - what should I do next? 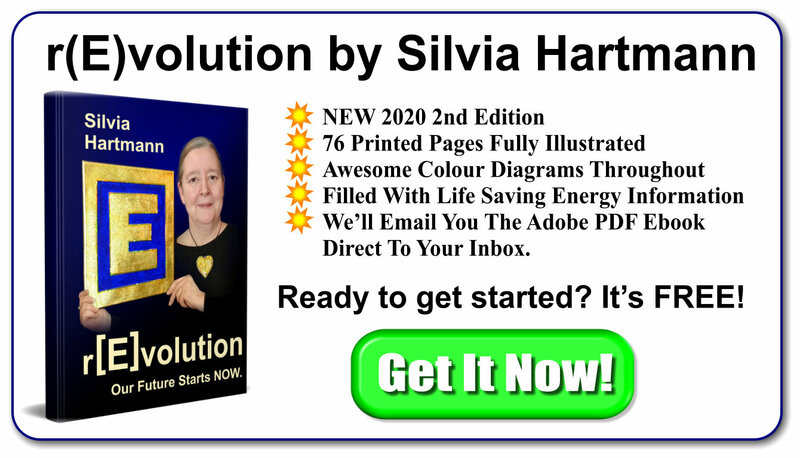 Get Silvia Hartmann's brilliant FREE ebook on Modern Energy r(E)volution. It has everything to get you started. Love energy and understand already? 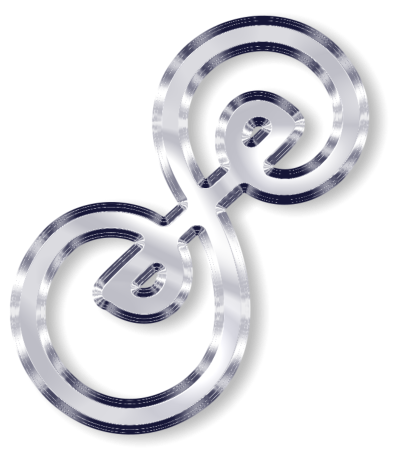 Join the Guild of Energists and gain access to the GoE Library, discounts on books and courses, and meet other Modern Energists from around the world. Then join The Guild of Modern Energists today!